SAN DIEGO, JUNE 1, 2018 – The Autism Research Institute’s sound fiscal management practices and commitment to accountability and transparency have earned it another 4-star rating from Charity Navigator, America’s largest independent charity evaluator. 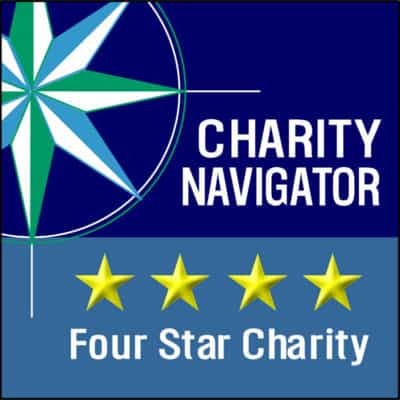 Since 2002, using objective, data-driven analysis, Charity Navigator has awarded only the most fiscally responsible organizations a 4-star rating. In 2011, Charity Navigator added 17 metrics, focused on governance and ethical practices as well as measures of openness, to its ratings methodology. These “Accountability & Transparency” metrics, which account for 50 percent of a charity’s overall rating, reveal which charities have “best practices” that minimize the chance of unethical activities, and which freely share basic information with donors and other stakeholders. Autism Research Institute’s rating and other information about charitable giving are available free of charge on www.charitynavigator.org. More-detailed information about Autism Research Institute’s rating is available to Charity Navigator site visitors who become registered users, another free service. While causes of ASD remain unclear, recent scientific advances challenge the traditional view of autism as an untreatable disease—as one that is “genetically hard-wired.” These developments support the position that Autism Research Institute (ARI) has always maintained: Autism Is Treatable. Established in 1967 by psychologist and renowned father of modern autism research Dr. Bernard Rimland, ARI continues to pioneer in research, outreach, and cooperative efforts with other organizations worldwide. ARI advocates for the rights of people with ASD and operates without funding from special-interest groups.